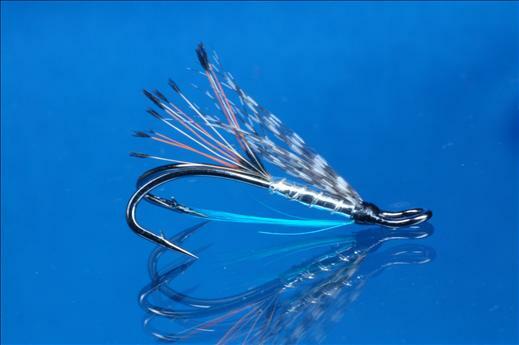 The Teal Blue and Silver is the most visible of the successful Teal series of flies that has been successfully catching fish on lochs and rivers for over a century. It is ideal in coloured water and is particularly good when fishing low and skinny waters. Throat : Kingfisher blue hackles.